Arrive at Jaipur airport and transfer to your hotel. In the evening, explore the bazaars of Jaipur's Old City on your own. Overnight at hotel. After buffet breakfast at the hotel, drive to the ancient capital of Amber to visit the fabulous Amber Fort. Take a jeep ride up to the fortress (included) or an elephant ride (optional, at extra cost and subject to availability). Located on top of a hill overlooking the Moata Lake, this red sandstone and marble fort looks like a fairy-tale palace with halls, pavilions, gardens and temples, all standing magnificently and reflecting the royal past of Rajasthan. Then, enjoy a tour of Jaipur city. Highlights include the City Palace, Jantar Mantar or Astronomical Observatory, Palace of Winds, otherwise known as Hawa Mahal. Return to your hotel for overnight. After buffet breakfast drive to Jodhpur. Arrive and check-in at your hotel. Overnight. 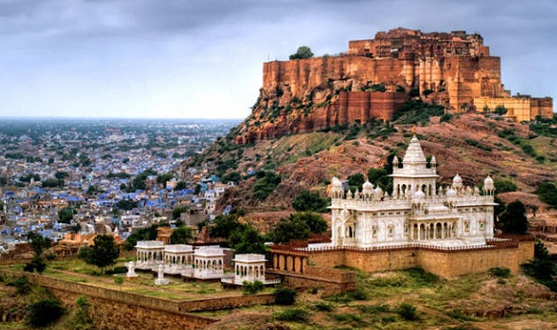 After buffet breakfast visit the Mehrangarh Fort (Citadel of the Sun) one of the largest fully preserved fortified cities in the world that evokes the very spirit of the Rathores followed by Jaswant Thada an imposing pillared marble cenotaph, built in memory of Maharaja Jaswant Singh II around 1899. Also visit Ummaid Bhavan Museum. Overnight at your hotel. After buffet breakfast drive to Udaipur, visiting Ranakpur (Jain Temples) en route. Arrive Udaipur and check in at your hotel. 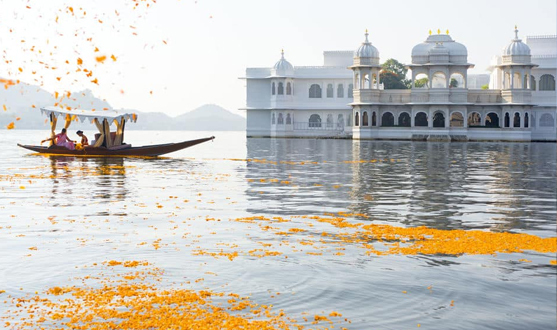 In the evening, enjoy an optional boat ride in and around Lake Pichola. (Subject to enough water in Lake Pichola). Overnight at your hotel. 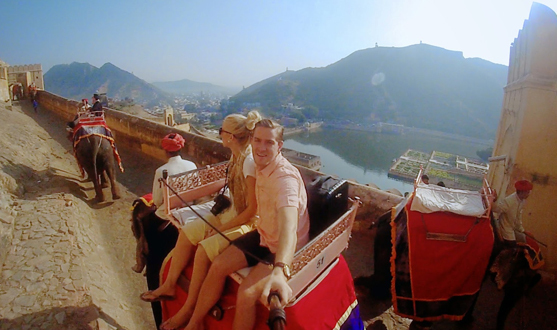 After breakfast, enjoy a tour of Udaipur, also known as the City of Sunrise. Visit the City Palace, which overlooks Lake Pichola. See the palace museum and the hall of public audiences, the private chambers of the royal ladies at the palace and Sahelion-ki-Bari. Overnight at your hotel. After breakfast drive to Udaipur Airport/Railway Station. 3 star package: Rs. 27,250 per person on double sharing basis. Accommodation at hotels in the above mentioned hotel or similar. Transfers / sightseeing by air-conditioned Swift as per the itinerary.